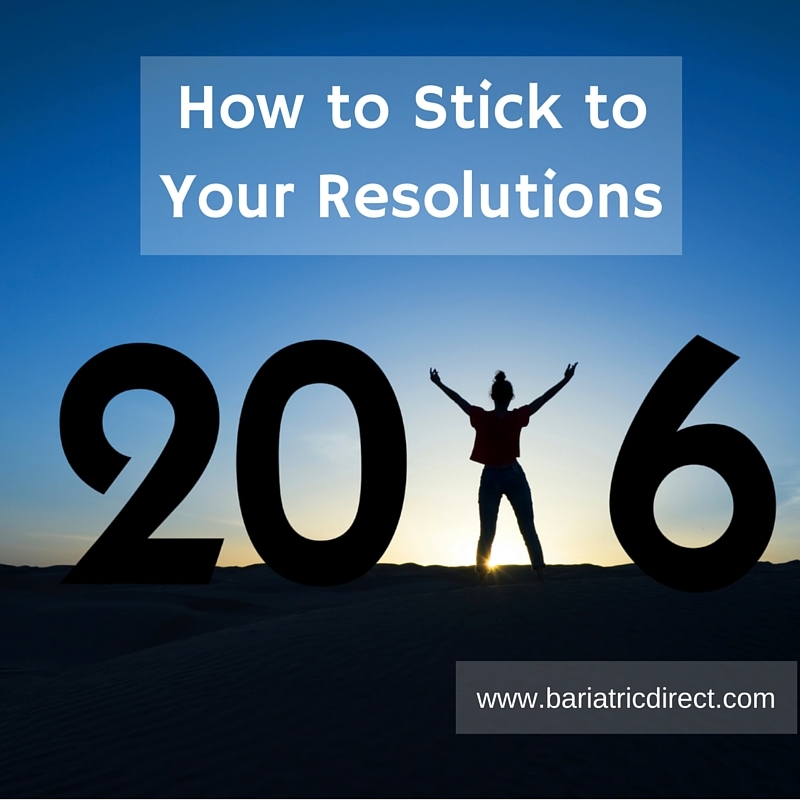 The New Year is upon us, and you’ve decided to make a change by pursuing a bariatric diet. Great job! At Bariatric Health & Wellness, we know a little something about helping people make big changes in their lives. We also know sticking to your goals can be difficult. Read the following tips for keeping your resolutions in check and making sure you hit those milestones! Self-control isn’t something you’re born with; it’s a muscle you need to use regularly in order to keep it strong and functioning. Your motivation works the same way. Some days will be easier than others, but over time and with practice, it will keep getting easier. Instead of making a broad goal (“lose 10 pounds”), break your goals into smaller, bite-size pieces that will be easier to handle and live up to. For example, you could make it a resolution to stick to your new bariatric diet (with the help of your specialists at Bariatric Health & Wellness), park your car further away from entrances to work/the grocery store and go to the gym three times for the week. Breaking it up this way gives you some wiggle room to be successful and gives you the chance to reevaluate at the end of the week to see what you could have done better or where you might need to make adjustments in order to reach your goals. A good mood can go a long way towards success – treat yourself to something that lifts your spirits without packing on the calories. Listen to a favorite podcast while taking a walk, dance to your favorite record or watch a funny movie. Keeping yourself happy can help you keep your diet on track since you won’t be tempted to eat for comfort. It’s easy to look at your to-do list and feel discouraged when you should be looking at everything you’ve accomplished! Write down a list of 10 things you’re proud of completing in the past year and remind yourself of everything you’ve done when you start feeling discouraged. You’ve already accomplished so much, keep it up! People who put their goals down on paper are more likely to stick to them than people who make mental vows. Post your goals in several places where you’ll see them often to remind yourself of why you’re making the change – work, home, maybe even your car. Set yourself up for success this New Year’s with our tips and tricks for boosting your motivation. If you need any additional help, the staff at Bariatric Health & Wellness is here to give you the support you need to reach your weight loss goals!